The first recording in over 18 years to feature founding members Billy Corgan, James Iha, and Jimmy Chamberlin. Recorded in Malibu, CA at Shangri La Studios with producer Rick Rubin and longtime Smashing Pumpkins guitarist Jeff Schroeder. 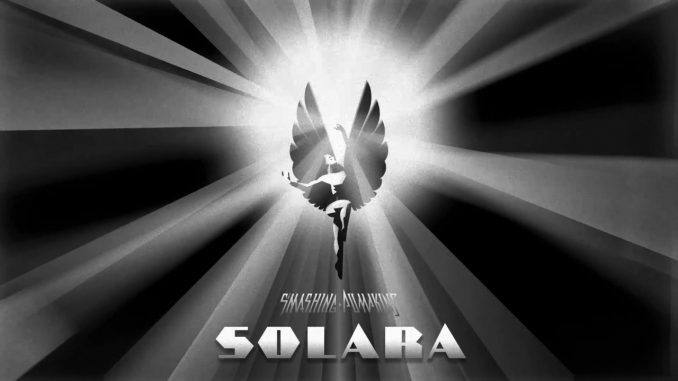 The Smashing Pumpkins (or Smashing Pumpkins[note 1]) are an American alternative rock band from Chicago, Illinois. Formed in 1988 by frontman Billy Corgan (lead vocals, guitar) and James Iha (guitar), the band included D’arcy Wretzky (bass guitar) and Jimmy Chamberlin (drums) in its original incarnation. It has undergone many line-up changes over the course of its existence, with the current lineup being Corgan, Chamberlin, Iha and guitarist Jeff Schroeder. Disavowing the punk rock roots of many of their alt-rock contemporaries, they have a diverse, densely layered, and guitar-heavy sound, containing elements of gothic rock, heavy metal, dream pop, psychedelic rock, progressive rock, shoegazing, and electronica in later recordings. Corgan is the group’s primary songwriter—his grand musical ambitions and cathartic lyrics have shaped the band’s albums and songs, which have been described as “anguished, bruised reports from Billy Corgan’s nightmare-land”. The Smashing Pumpkins broke into the musical mainstream with their second album, 1993’s Siamese Dream. The group built its audience with extensive touring and their 1995 follow-up, the double album Mellon Collie and the Infinite Sadness, which debuted at number one on the Billboard 200 album chart. With 30 million albums sold worldwide, The Smashing Pumpkins were one of the most commercially successful and critically acclaimed bands of the 1990s. However, internal fighting, drug use, and diminishing record sales led to a 2000 break-up. In 2006 Corgan and Chamberlin reconvened to record a new Smashing Pumpkins album, Zeitgeist. After touring throughout 2007 and 2008 with a lineup including new guitarist Jeff Schroeder, Chamberlin left the band in early 2009. Later that year, Corgan began a new recording series with a rotating lineup of musicians entitled Teargarden by Kaleidyscope, which encompassed the release of stand-alone singles, compilation EP releases, and two full albums that also fell under the project’s scope—Oceania in 2012 and Monuments to an Elegy in 2014. Chamberlin and Iha officially rejoined the band in February 2018.